Is it really the 25th anniversary of itSMF UK? This month we will be celebrating the anniversary at the 2016 itSMF UK Conference and as always it is one of the key events of the IT service management (ITSM) year, with content as fresh as it was all those years ago. This year I’m privileged to be co-presenting the closing keynote on Digital Transformation with Barclay Rae, in which we’ll be exploring some of the newer challenges, but I’m also presenting a session on something much more basic, which is how to carry out an effective ITSM assessment. Many of us are still placing our faith in ITSM/ITIL maturity assessments that have not changed that much for years. And, as Rob England has often said, most these assessments are not a measure of how mature we really are, but of the extent to which we have followed. In fact, part of the problem is that they tend to look at the ITIL processes in isolation from each other, so you get the absurd situation where an IT department is apparently at level 4 or 5 for change management whilst their configuration management is at 0 or 1. The real problem though is much more fundamental. Ask yourself why you need an assessment. "So we can do things better for the business." – We’re on the same page. Look back over those three responses and see how quickly you can make a judgement about the underlying maturity of the thinking behind them. It doesn’t need a long set of questions to find out how ITSM mature an organization is. You just need to ask the right questions, and understand the answers. So, what are the right questions, and how do we interpret the answers? Before I discovered ITIL I was an internal auditor, and we faced a similar situation. The traditional approach to audits, whatever the subject, involved answering a long list of questions, all of which were based on a view of a single idealized system. Sometimes that worked. If you’re looking at how a company deals with cash arriving in the post, then the right way of doing it doesn’t vary that much. But it didn’t work when we were auditing more complex systems and making a judgment on whether they delivered value for money. We had to change the approach and begin by defining the objective of the system in conjunction with the business, and then we looked at the contextual outcomes and risks associated with it. Only then did we move on to writing the questions, and those questions themselves were open ones, that didn’t presume we knew best. When the audit was over we no longer said “You don’t do X, start doing x”. Instead we assessed the answers against that pre-agreed triumvirate of objective, outcomes and risks, and in conjunction with the answers to other questions. That in turn meant that instead of making recommendations mechanically we could make recommendations that we knew could make a real difference to how the system worked, and that people could buy into because they understood the logic behind them. Compare that to the ITSM assessment where the assessor just works their way through a long list of questions, questions that are the same as they asked at the last organization they went to and, the one before that and the one before that. But it’s OK, because you’ll get a report at the end of it saying that you’ve moved from level 2 to level 3 and management, and you’ll think you must be doing a good job, even though you can’t process a new user request in under a week. What it won’t deliver is real insight and what it won’t do is act as a catalyst for change. So, what about Digital Transformation? Hopefully by the end of my first session you’ll see how much more liberating and successful assessments can be when they are designed around you and your organization, especially if you’re about to undergo a digital transformation, and who isn’t these days? That is why Barclay and I are going to be asking about the impact of digital transformation on the world of ITSM and debating whether it’s a case of the “Emperor’s new clothes”, or do we need to reassess not only what ITSM best practice is but also how we ourselves behave? We’ll be looking at what Digital Transformation means, and the different facets of it that need to interlock as part of a future looking IT strategy. Understanding Digital Transformation is not just about new technologies; it’s about changes in how both our customers and our own people work and think. We’ll discuss if it only applies to greenfield sites or whether it’s just as relevant if you’re still dealing with massive technology and innovation debt. And most of all we’ll be having a balanced debate about whether it’s a threat or an opportunity to our profession, and whether the ITSM world has left it too late to join the party. The title of the session, “Rise of the Humans”, probably gives you a clue that we’ll be arguing very strongly that with automation and artificial intelligence finally taking over many of the mundane tasks of ITSM the result will be an increasing need for the peculiarly human skills that ITSM practitioners excel in; and as DevOps becomes the de facto way of delivering value we’ll be learning new skills and new ways of working that will keep ITSM as relevant in the future as it is now. As if that isn’t enough ITSM goodness for you then on Monday my TCS colleague Rajesh Ambadath is going to be talking about problem management. I was lucky enough to hear a preview of his talk and I can really recommend it. He’s going to be giving you lots of practical tips. So, I’m looking forward to seeing you all at the conference. Even if you don’t come to my sessions please, please, feel free to come up and start a conversation with me. Finally, here’s to the next twenty five years of itSMF UK. James Finister is member of the leadership team of the TCS Global Service Management Consulting Practice responsible for market analysis and interaction, the global ITSM Consulting service portfolio, and the coordination of Thought Leadership and analyst interactions. 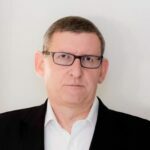 He's been actively involved in ITIL and ISO/IEC 20000 since their inception and developed some of the earliest ITIL training courses in the UK. He is a co-opted member of the ISO working groups for the development of ISO/IEC 20000 and ISO38500.